Fisheries management is principally focused on managing fishing pressure, with the goal of keeping individual fish stocks healthy enough to produce good yields. But fisheries also affect the basic processes that keep ocean ecosystems healthy. This is why it is important to understand how many fish need to be in the system to maintain the many important services that an ocean ecosystem can produce — including the maintenance of biodiversity, tourism value, and fisheries — and to manage fisheries so that fish populations remain at about that level. 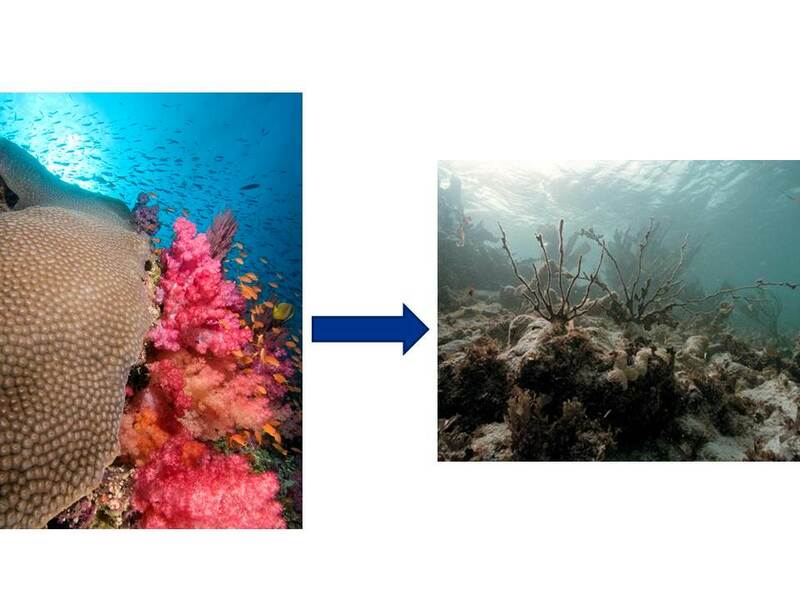 The evidence that fish are important regulators of ecosystem processes is particularly strong in coral reefs. 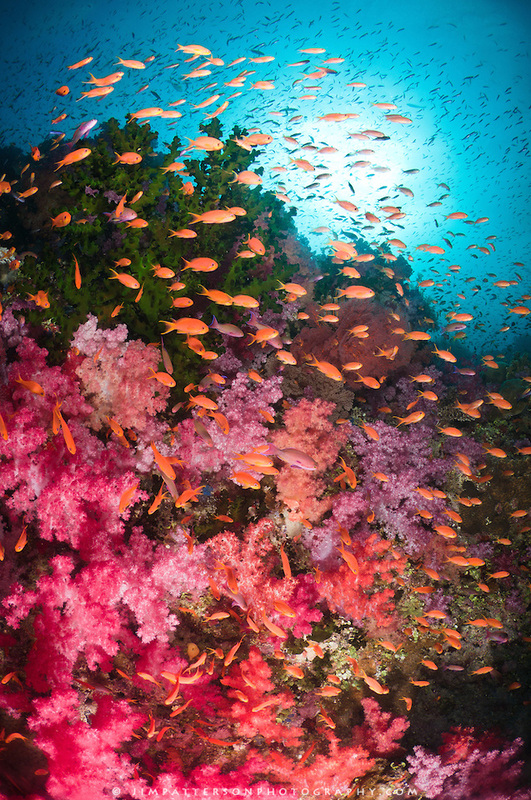 The abundance and variety of fish is one of the most striking aspects of a healthy coral reef. Some species transport energy and nutrients between seagrass meadows and the reefs. Grazing fish species on a healthy coral reef keep seaweeds that would otherwise over-grow the reef in check. Predators regulate populations of prey species, responding to natural variability by adjusting their feeding rates and numbers. On a healthy reef, many different species occupy each of these niches, and each does their job in a slightly different way. This enables the reef to resist threats and other changes (like hurricanes) and to recover from very storms or human impacts, within limits of course. Like many complex systems with many elements that affect each other in many ways, coral reefs don’t always change in a simple, linear way when one of the elements is altered. Similarly, your car will run, albeit a little roughly, if a single spark plug isn’t working. But if the starter doesn’t work, it won’t run at all. Coral reefs can exist in many different states, ranging from one in which live coral dominates, supporting a highly diverse mix of species and generating high levels of multiple ecosystem services to a state in which most of the coral is dead, species diversity is low, and the reef is no longer producing valued ecosystem services. Some changes in coral reefs are gradual, but some are not. A tipping point occurs when small changes in human use or environmental conditions result in large, and sometimes abrupt, impacts to marine ecosystems. Certain factors can push coral reefs over an ecological tipping point, so that they change dramatically from one state to another. Because fish are such important regulators of the processes that maintain coral reefs in these different states, fishing can act as a driver, pushing the reef toward a tipping point. Once a tipping point is crossed, changes to the reef occur rapidly. In the figure below, the levels of various drivers of change are at levels which enable the reef to exist in a healthy state (position 1) – the width of the basin in which it rests and the height of the ridge that defines the basin depend on how many species are present, how many are playing redundant roles, how high productivity is, and many other factors that contribute to the resilience of the reef. 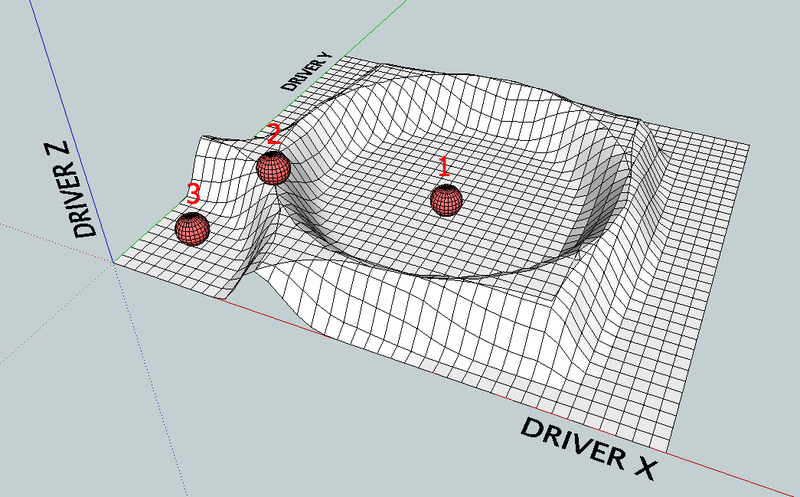 However, if the system’s resilience is reduced and/or a driver becomes strong enough, the reef can transition (position 2) to a new, less desirable state (position 3). Our analysis of coral reef health metrics and fish abundance (collected over 20 years, from 1994 to 2011, across 19 countries throughout the Caribbean) shows that coral reef metrics shift in response to changes in fish density, a measure of abundance. Moreover, just as theory predicts, some changes are abrupt and nonlinear. Macroalgal cover increases as fish density decreases to about 90% of the maximum levels in the data set (which we take to be a proxy for unfished levels), and variance becomes very high. This may be related to the tendency for complex, regulated systems to exhibit higher variability as regulation (in this case, by fish) is reduced. For example, if the thermostat in your house is partially broken, the temperature in your house may fluctuate between 60 and 70 degrees, instead of being held within a narrow range of temperatures by a well-functioning thermostat. A number of metrics — including the proportion of invertivore fishes, the number of fish species, and urchin density – change dramatically when fish densities fall to between 50 and 60% of unfished densities. When fish densities reach 30% of unfished densities, the ratio of macroalgae to coral increases, the proportion of herbivorous fish in the fish community decreases, and coral cover drops markedly – the fact that the reef is in a different state becomes obvious. EDF will continue to refine the use of coral reef ecosystem thresholds and advocate their use in setting aggregate catch limits in order to keep healthy reefs healthy and to restore reefs that are in transition or in less desirable states. This entry was posted in Global Fisheries, Science/Research and tagged Coral Reefs, Corals, eco-system management, ecotourism, reef fish, tipping points. Bookmark the permalink. Both comments and trackbacks are currently closed.